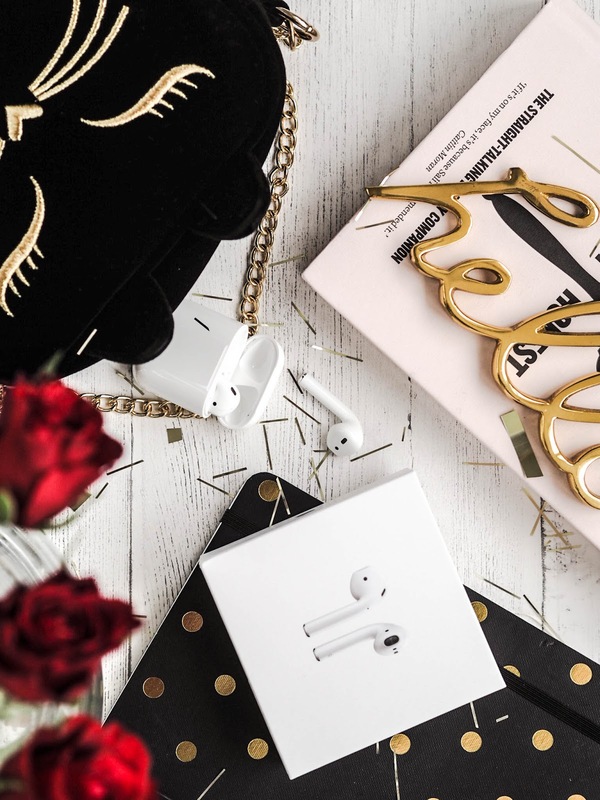 I have been meaning to blog about my Apple AirPods in so long. I got them in November (I think!) as a little treat yo self, early Christmas present. You know, from me, to me kinda thing. Let me tell you, it was the best purchase I made all year. I wasn't really in the market for new headphones, but I started to occasionally listen to podcasts and music in work because I found it pretty productive, and it masked the sound of the workshop 'din'. I wanted something I could wear that meant I wasn't chained to my phone, in fact I didn't even want my phone to be on view. I have enough distractions, and I don't need scrolling Instagram to be another one to add to the list. These headphones are discreet and sleek, like most Apple products TBF. They have a small case in which they charge from, and the battery life is second to none. I swear I can wear them for 2+ hours straight without having to charge them up once. To charge they take no time at all too. I can literally nip to the loo and they are charged enough for another hour at least! I can turn them up to the very limit because, I'm all about that life. I found they were completely user friendly, even for the most non tech savvy amongst us. I honestly thought they would fall out, I mean, what's actually keeping them in there? But they somehow do! Probably something about being aerodynamic? IDK. They fit snuggly inside the air and I barely ever have to adjust them. I am not sure how they would be during vigorous exercise, but for walking around, low impact stuff, like yoga, and a light jog they never budged an inch. The only downside is that they are pricey..
Bye bye dollar dollar bill! But most headphones are nowadays? If you look at brands like Beats and Bang & Olufsen they are all pretty much on parr for price. I do think that Apple's edition is far more superior though, which is odd because I have never really been a fan of Apple headphones before! Was this review helpful? Do you have a pair of AirPods?